news.kvartha.com updates latest NEWS Headlines, Top Stories, Breaking News, National, Entertainment, Economic, Business, Sports, Technology, International News and many more. Chennai, 6th September 2017: Ashok Leyland Defence Systems (ALDS) signed a Memorandum of Understanding (MOU) on Cooperation with Russia's Rosoboronexport, on the sidelines of the International Military Technical Forum Army - 2017 held at Kubinka, near Moscow, on 25th August 2017. The Indian delegation to this forum was led by Mr Ashok Gupta, Secretary (Defence Production) Government of India. Rosoboronexport (ROE) is the only state organisation in Russia for export of the entire range of military products and technologies. ROE represents Russian companies who are manufacturers of Infantry Fighting Vehicles and Main Battle Tanks, currently working with the Indian Army. ELCOM Group is emerging as a significant player in strategic electronics, avionics and tactical communication globally. 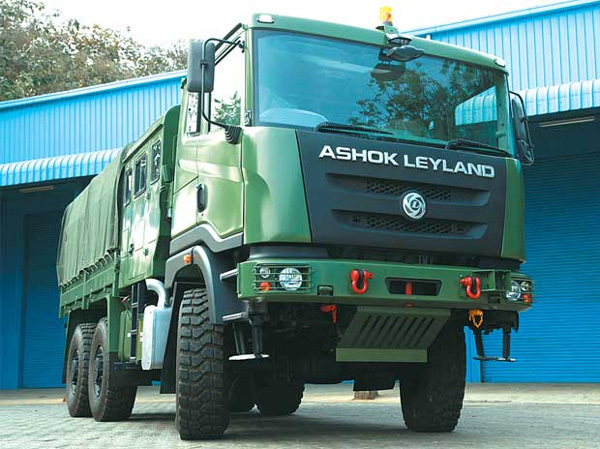 Ashok Leyland (AL) is one of the world largest manufacturer of vehicles and has been a supplier of Logistics and Special Role Vehicles to the Indian Army for the past 25 years. Back with a Bang: Nestle India relaunches vegetable atta noodles and oats variants of Maggi. Copyright © News Kvartha Made with in Indonesia.